Alexandra is burning and nobody seems to care. Our politicos are, typically, playing ping-pong over the protests of some residents in one of Joburg's historic townships. The ANC points an accusing finger at the DA, especially its City of Joburg Mayor Herman Mashaba. The DA accuses the ANC of stoking up the fires in "Alex" and abusing the genuine grievances of the residents in order to score points as part of the pre-May 8 election campaign. The protesters themselves are abdicating their duty to raise their complaints through the ballot, preferring to summon politicians into their township, so they can yell at them, and then vote the same way they did in the past. This is the South African way of doing things, and it is not about to change anytime soon. Alex epitomises all that is wrong about the Rainbow Nation (if we can still call it that). One of those is the government's failure to implement its own plans to change the township from a slum, as part of an effective urban renewal policy. It was President Thabo Mbeki back in 2001 who revealed the Urban Renewal Programme. This was meant to be part of a broader development plan that would last 10 years, with poverty reduction one of its main goals. Needless to say, the plan, like many others, was stillborn. Meanwhile, rural poverty continues to drive people into urban settlements like Alex, as they search for better economic opportunities in the cities. This has made the situation in Alex worse. There is more congestion, and general squalor, turning the township that liberation icon Nelson Mandela moved to when he came from the Eastern Cape in 1941 into a perfect powder keg. Alexandra is the epitome of South Africa's ticking time bomb. The voter is unable to extricate him or herself from the psychological grip of unaccountable and under-delivering "public representatives". Those on the other side of the "boerewors curtain" continue enjoying their champagne lifestyles, and only encounter the Alex situation through their peripheral vision or Eyewitness News reports. Occasionally, they throw some coins and crumbs in the direction of the beggar they encounter on Rivonia Road, as an expression of their pity or support for the less privileged. And they move on with their guilt eased, convinced that the right thing was done. One of the biggest risks around the seeming permanency of this situation is its ability to breed further discord. It sends a negative message about our democratic setup, as a means to manage our affairs. It means the voter does not believe that the ballot is a sufficiently powerful instrument to change his or her life. As this continues, it ingrains all the negative aspects of public protests and criminality that so often go in tandem with property destruction and other ugly elements. This is not the only place in Johannesburg, or in South Africa for that matter, where democratic protest displays some flashes of undemocratic conduct. 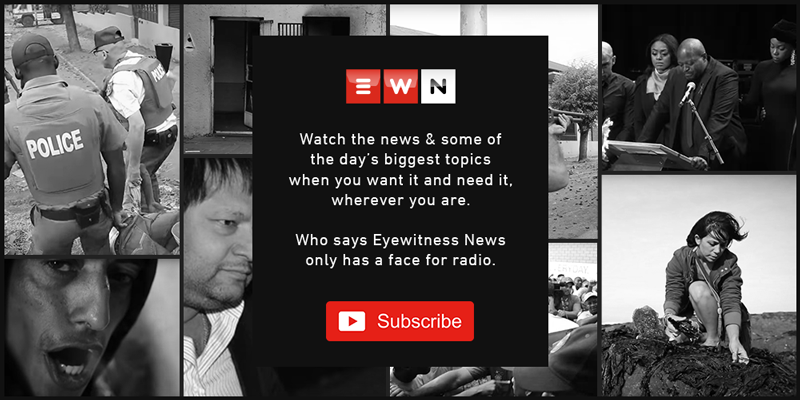 In Eldorado, in the East Rand, Cape Town, it's all too common for residents' frustration with the slow pace of development to explode in a violent fashion. That is in our DNA. Yet our voting cycles deceptively demonstrate signs of a normal democracy. Elections are held every five years and there has been no attempted coup d'état or other shabby acts. But many continue to show superficial belief in the democratic system, choosing to vote when elections come, and then behave undemocratically when their expectations are not met. It is a lose-lose situation for the Alexandra resident. It is also a risk for the suburban resident across the highway in Sandton, and for the businessperson, and the white collar worker generally. The concerns of the underbelly should be of serious concern - not only to the ruling elite - but to the middle class too, as no one is protected from the negative consequences of the rise in social dysfunction. It's already showing in our crime levels. Sam Mkokeli is a journalist and freelance contributor for Eyewitness News.